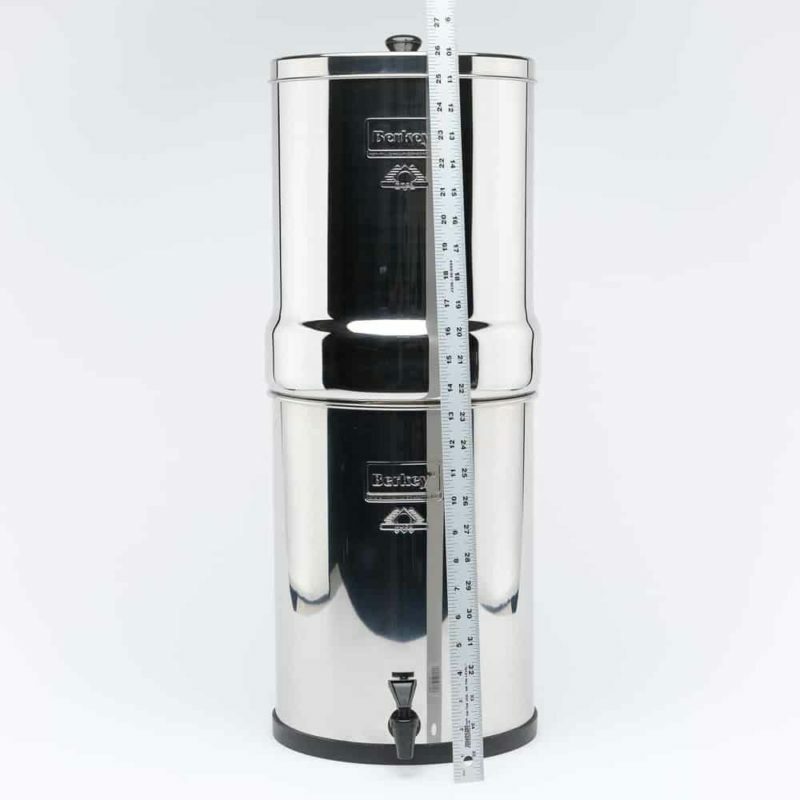 The Imperial Berkey is another filter designed to meet the needs of larger groups of people. 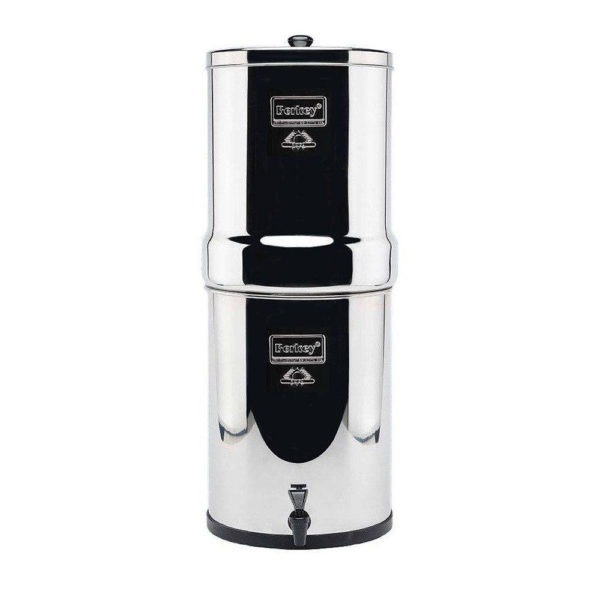 Berkey increased the size of the upper and lower container and increased the diameter of the lower container for accommodating up to 6 filter elements. This system comes standard with 2 Black Berkey Purification Elements, but can be expanded up to 4 or 6 elements. 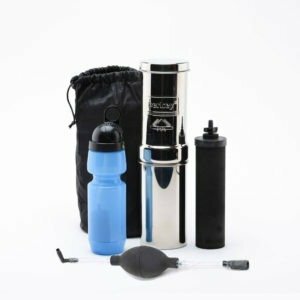 When it comes to water filters, The Berkey is on a mission, and that is to provide the water filter needs of every individual and every family. 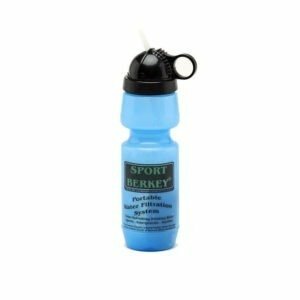 That is why Berkey water filters are available in different sizes and built for different reasons, but all of them have only one goal, to provide a clean, potable, safe and healthy drinking water for all people. 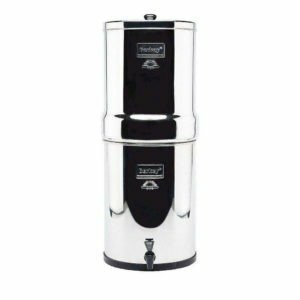 If you are looking for a Berkey water filter that can serve a medium-sized group, the Imperial Berkey Water Filter is ideal for you. The Imperial Berkey Water Filter can serve about 4 to 8 people, and it can hold approximately 4 and a half gallons of water. 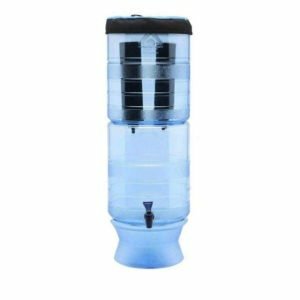 This is truly a powerful system, and it can purify, not just filter treated water that comes from your faucet. 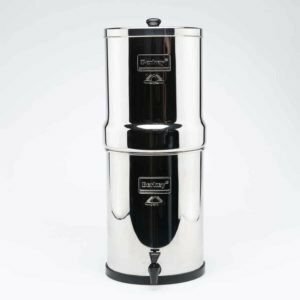 One of the most useful advantages that a Berkey water filter user gets is that they do not need electricity, any special equipment or specialized knowledge to use this water filter. 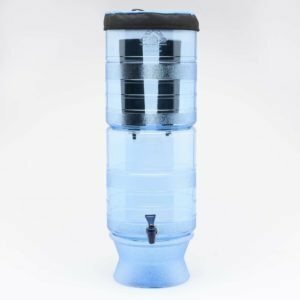 Berkey water filters come with an easy to follow instruction, all you really have to do is attach the water filter to the water and then gravity will do its work. 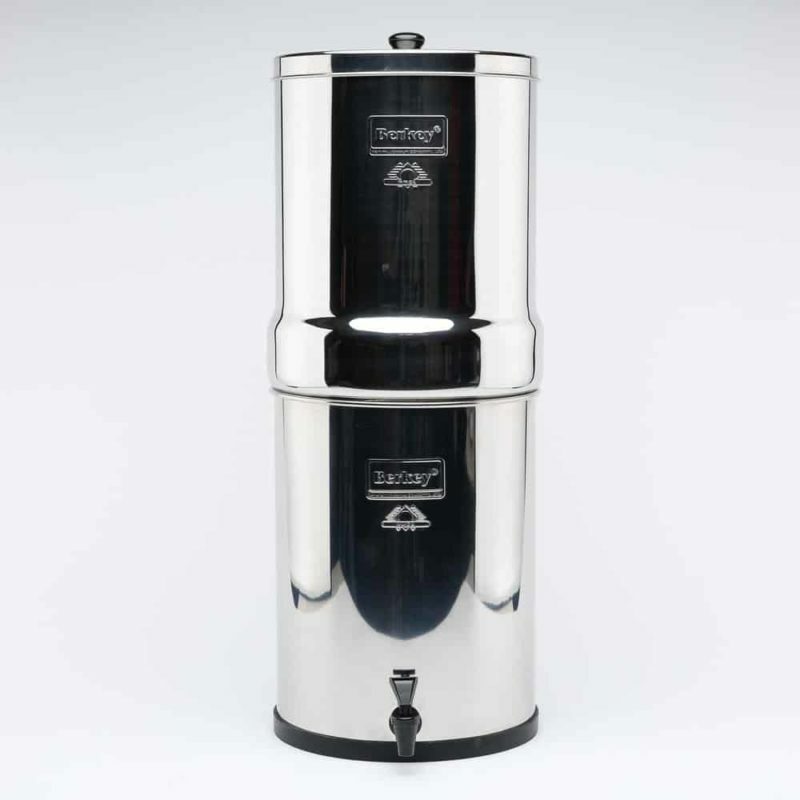 The tap water will go through the powerful filters of the Imperial Berkey, and then you already get a cleaner, safer and healthier drinking water. 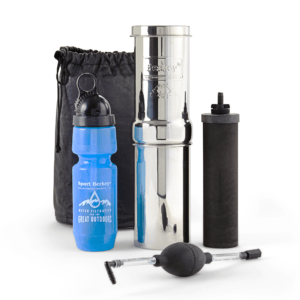 When you go outdoors, the Imperial Berkey water filter can be a great companion, not only because it is easy to carry and use even in remote areas but also because Imperial Berkey Water Filter can also purify water from untreated raw sources, like lakes and ponds. The Imperial Berkey has been configured with two Black Berkey purification elements, and this water filter system can purify up to 5 and a half gallons of water in an hour. Those 5 and a half gallons can be increased to 16 and a half gallons per hour because the Imperial Berkey’s purification elements can be expanded up to 6. The Imperial Berkey water purifier was built with 304 highly polished stainless steel along with its state of the art purification element, and its system has a storage capacity of 4 and a half gallons. 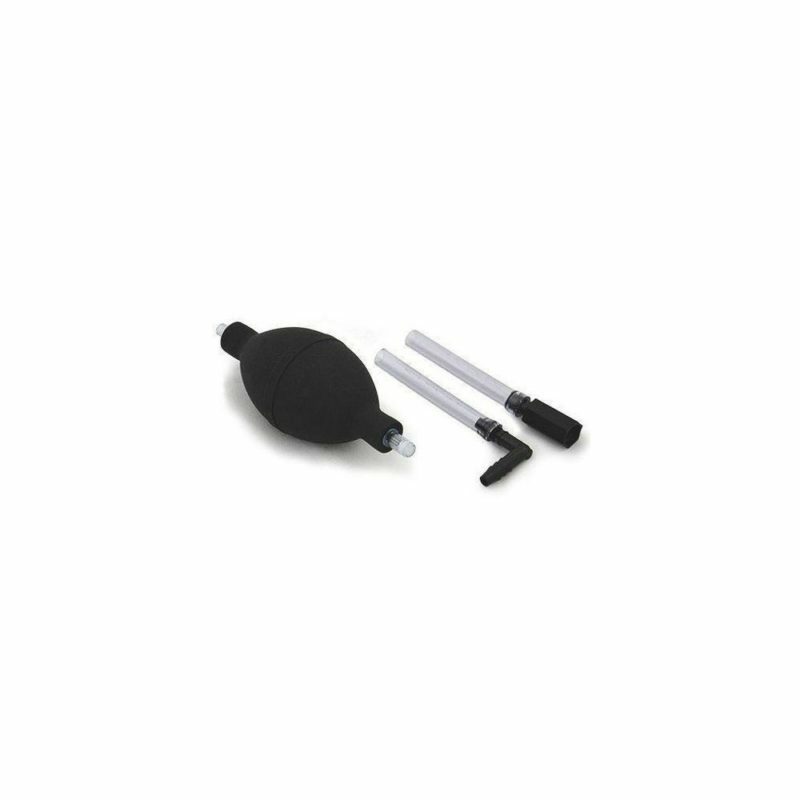 Its purification system is so powerful that it can remove 99.99% of contaminants like cysts, pathogenic bacteria, organic solvents, herbicides, pesticides, trihalomethane and a lot more. It can also reduce nitrates and nitrites as well as the unhealthy minerals like lead and mercury. Product arrived damaged. 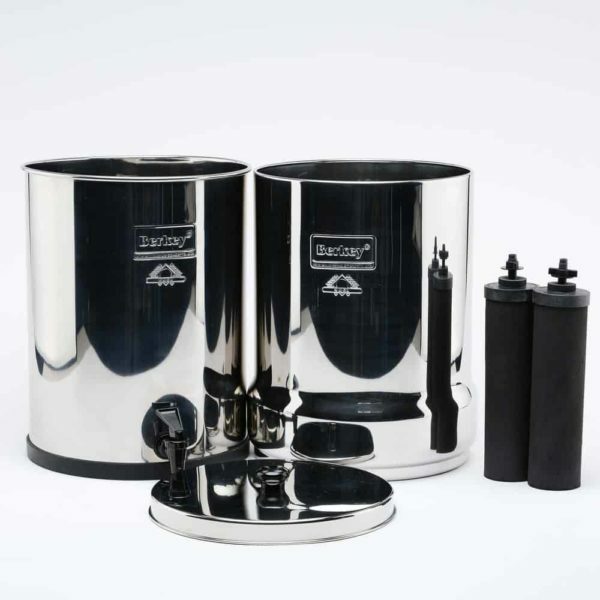 The berkey is extremely scratched, all over the entire inside and outside. It had marks, weird stains and fingerprints all over it as well. The box was very discolored, an old dingy off white color. The box was so old it was coming undone at the seams and smelled horribly. It smelled like we would imagine rat feces to smell like. Also, the water bottle wasn’t included. We didn’t even unwrap the filters, not sure of the condition of them. Do NOT order this product from this seller!!! We have already dropped it off to return it. Absolutely disgusting used condition. Nice-looking product, although mine came with a significant dent in the upper chamber. I can taste a significant difference in the water from the Berkey vs. filtered water from my refrigerator. I bought this filter with the goal of reducing heavy metal toxicity in my body. Hopefully it will help. Small, but not really for “travel”. You would do best to disassemble it before driving with it as the filters will fall off, and there is no way to know if they got damaged inside. I drove with it in the front seat, inside a bucket with pillows and secured with seat belt. The Fluoride filters fell out, thus contaminating whatever water had been filtered. Not sure if they were damaged. Do not think this is for TRAVEL. Very nice for home use. Fluoride filters seem slower than just the primary black filters, so plan ahead. I fill at bedtime. What a great product and will pay for itself in less than a year! Great tasting water too. Seems to be working well. It appears that the package was a returned item but all components were there with new filters. Excellent, just as the other two models I have. Thrilled I bought this! Great way to always have clean water. Now I don’t have to buy so much bottled water. Perfect for a house of 2 (heavy water consumers: 1.5 qtr bottles of water each daily, plus cooking, daily tea and coffee) – SUPER clean and great tasting water. The stainless steel spigot is fantastic – great flow, no dripping after use (like the black plastic), and super easy to install. Priming the filters wasn’t my favorite, but the holy water as a result is worth it! Great filter. Looks nice on the counter. Good packaging. You will drink a lot more water with this it taste that good!! 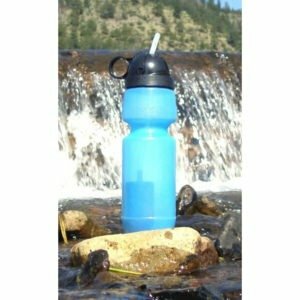 Cook with this water, make coffee or tea with this water! Everything will taste better. Your PH levels will go up which will reduce inflammation and prevent a lot of problems and maybe diseases with your body. Babies need this in their formula or breastfeeding moms need to drink this water. Everyone needs to drink this water!! It did take a long time to prime the fluoride filters so I submerged my filters for a couple of days in a tub of water than installed them. Fill the top tank than you may have to wait a few days before it starts working. Well worth the wait. My 15 year old son would not drink water but now he is. 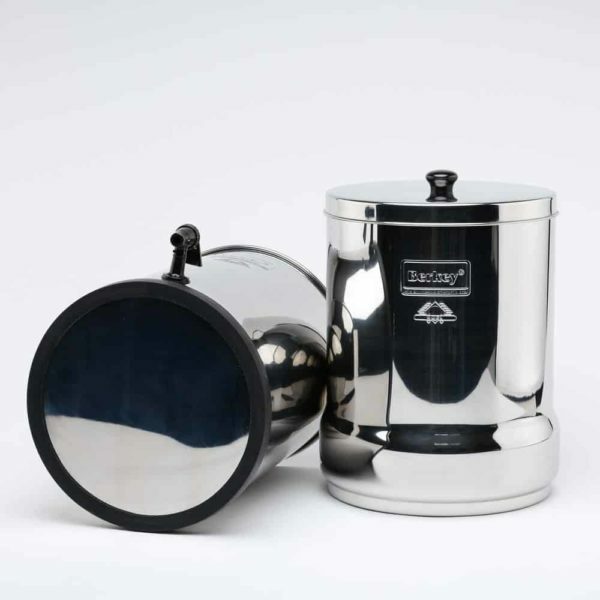 I got this one since it has the stainless steel spigot, no carcinogens! We also got stainless steel bottles to drink our water from. We’ve been using our Royal Berkley for about a month now. It’s been wonderful. We’re a family of four and it’s the perfect size for us. Love this filtration system. Simple to use once it is set up. The instructions were a bit confusing and seemed to be lacking some information, but figured it out. Also a bit difficult to “prime” the filters, but once it was set up, it is very easy to use. Water tastes great and good to know that it is actually clean. Easy to install, nice stainless finish (also bought the stand) with the matching tap. Water tastes completely different. 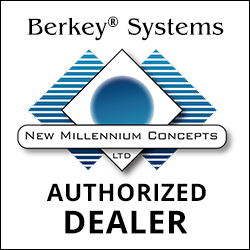 A Berkey systems did not remove minerals, so the ph level is largely not affected. Q How do you fill it up? A Fill top with tap water. Q Does it remove arsenic? A Yes, the filters have a 99.9% arsenic reduction. Q If the filter's bottom tank is filled up with filtered water to a level that submerges the fluoride filter, would fluoride leach into the clean water? A Good question but I wouldn't think so. Q Do the fluoride filter gets saturated or exhausted? How to know when it stopped removing fluoride? 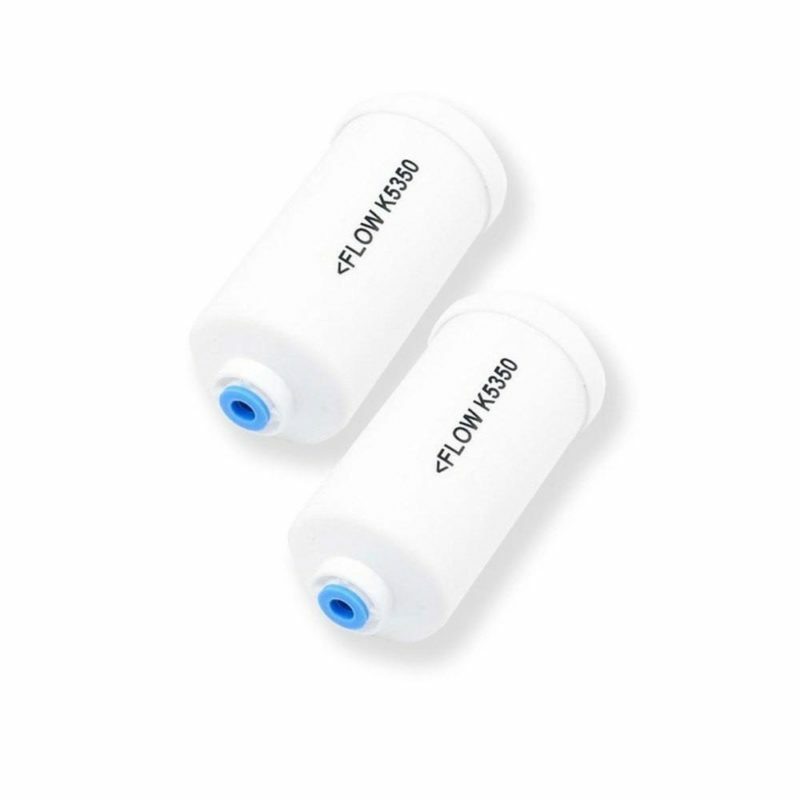 A It's recommended the fluoride filters be replaced after 1000 gallons of use or about 9 months to a year depending upon your usage.